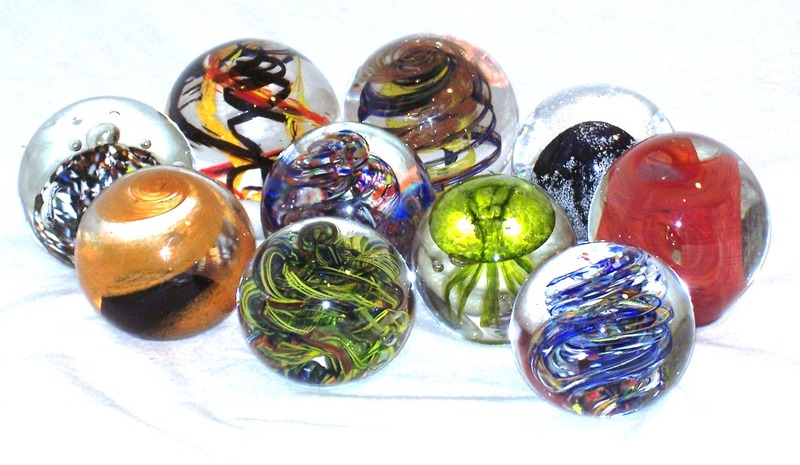 « Amigami Party @ Wheeling Moose Feb. 9th! 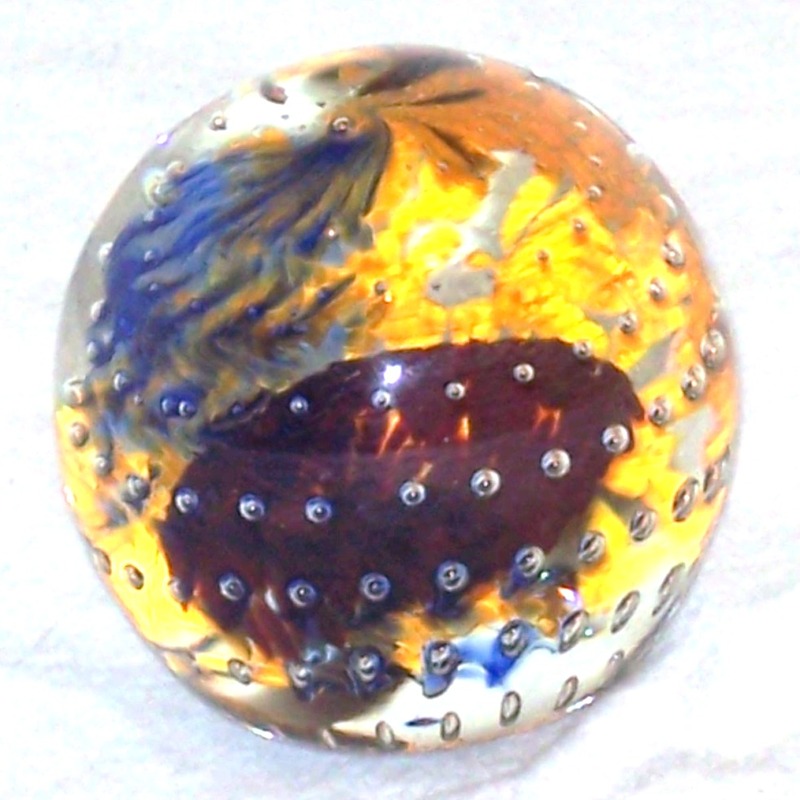 Amigami is proud to present an awesome line of home décor handcrafted by local artisan Taylor Kelly. 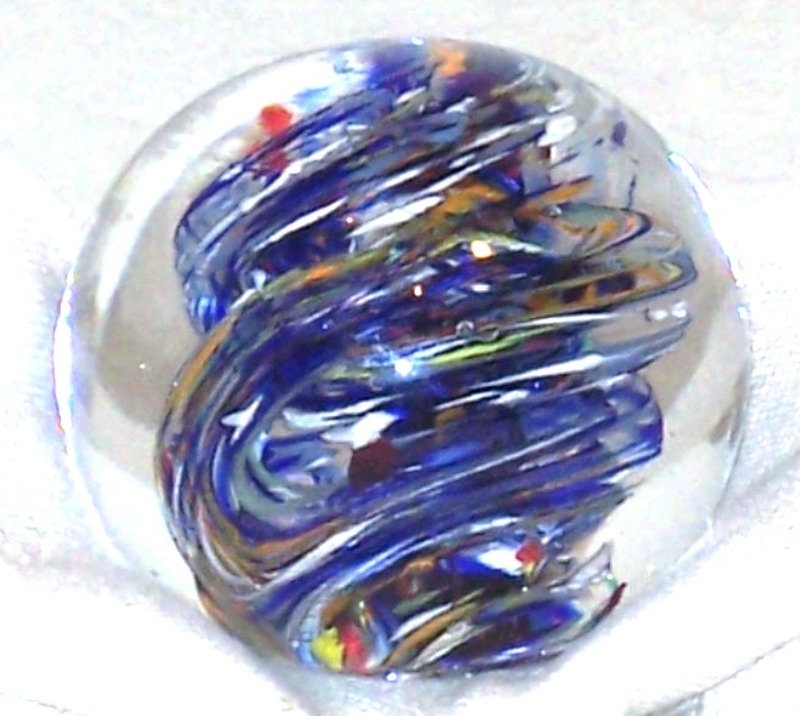 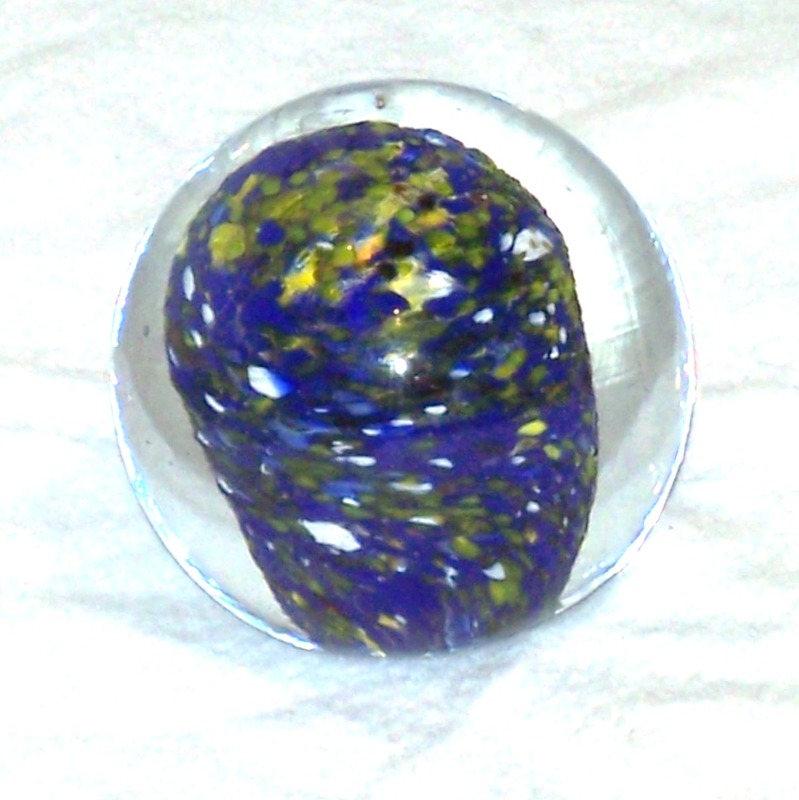 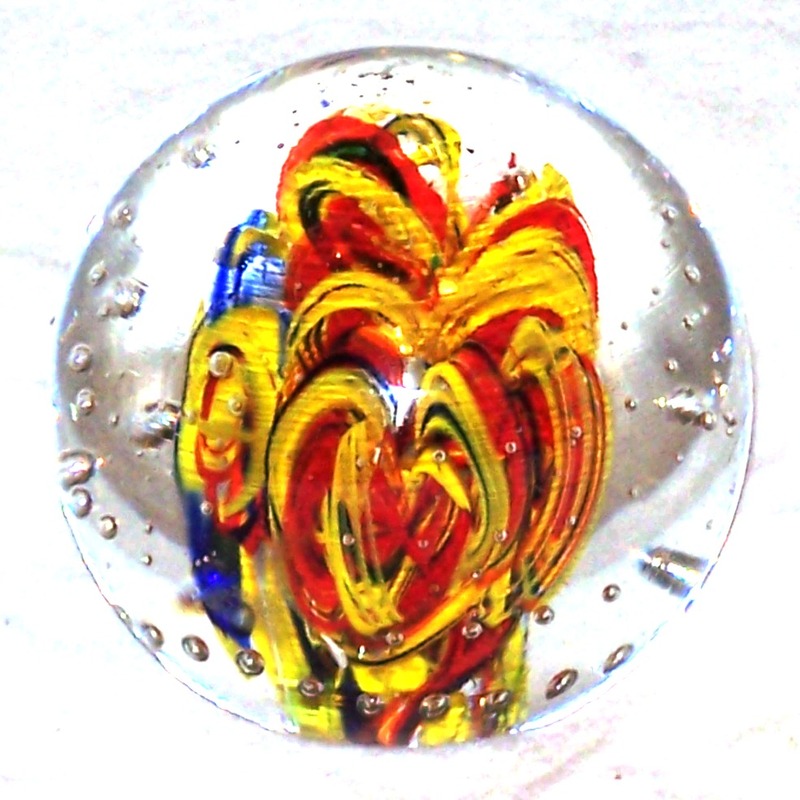 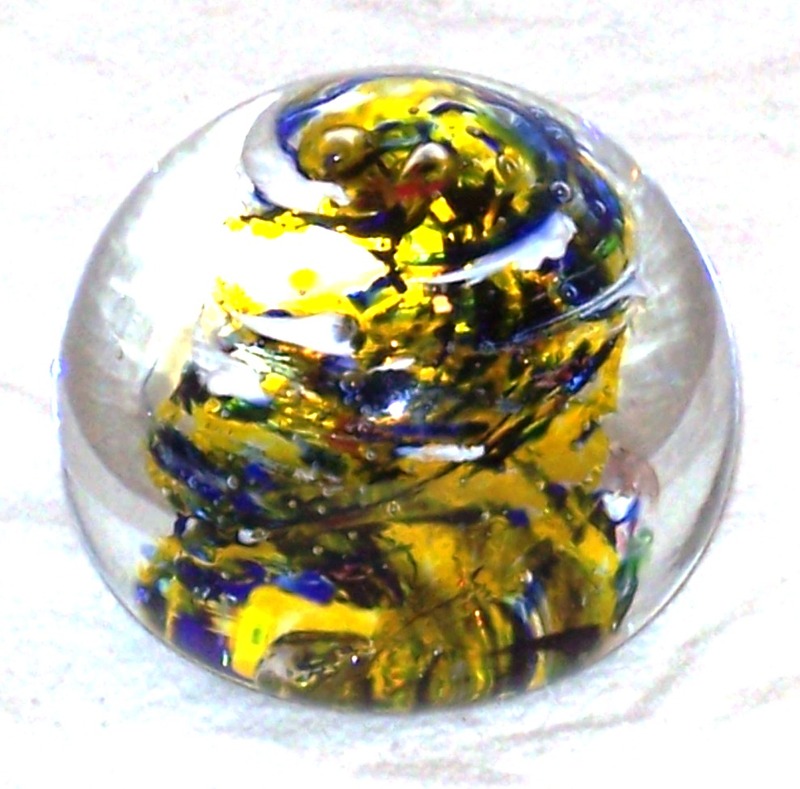 These decorative glass paperweights are hand blown, and feature bursts of color and an attention to detail that make them a beautiful addition to any home or office. 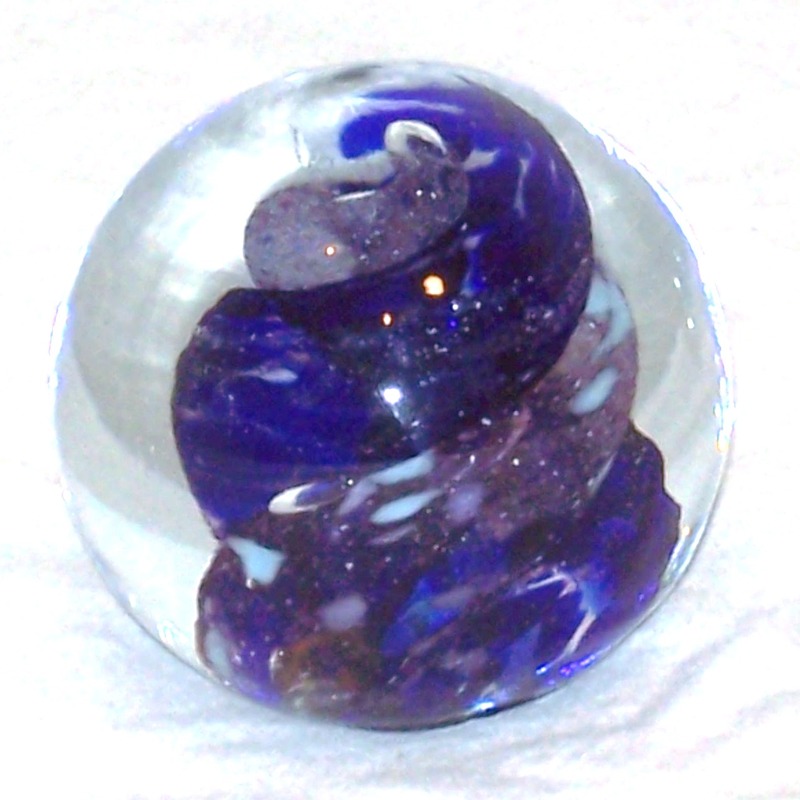 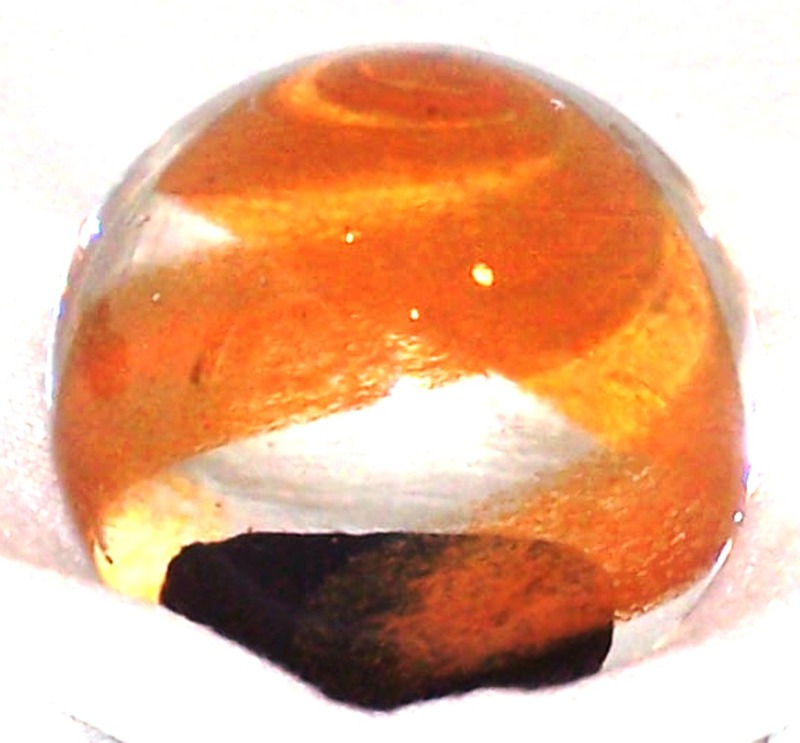 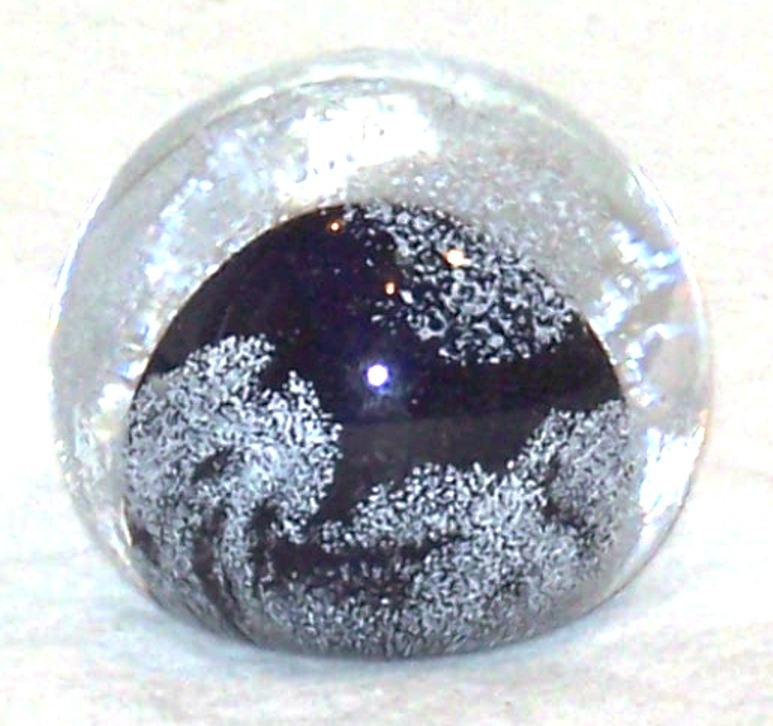 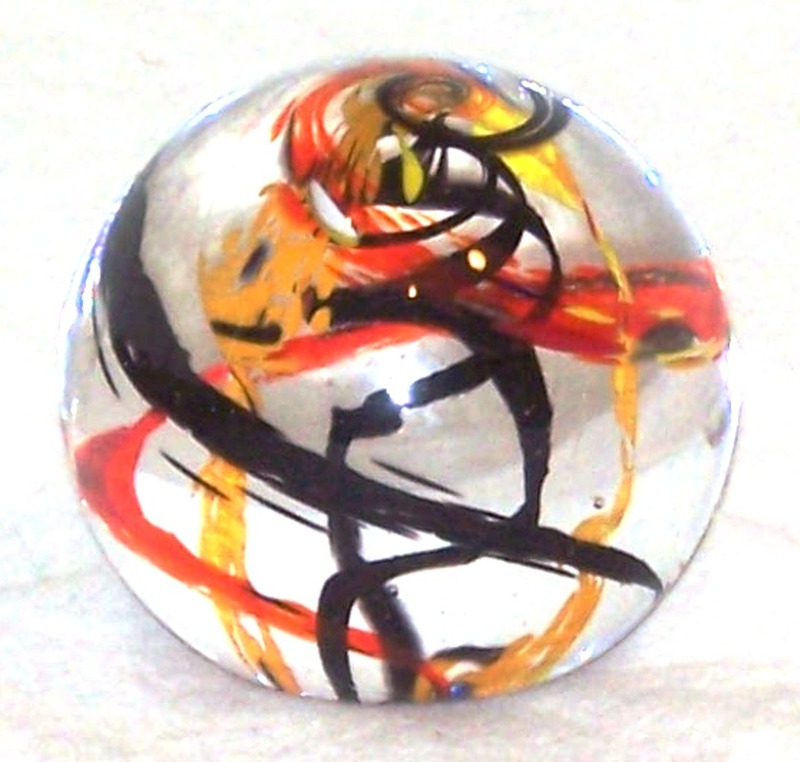 These spheres feature a myriad of gorgeous designs, and each measure approximately 3″ in diameter. 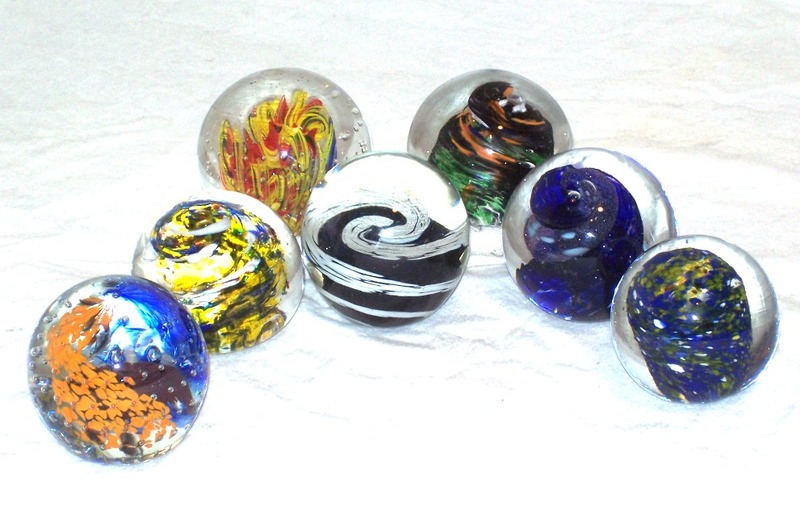 Weighing over a pound each, and with a flattened base for added stability, these glass orbs are a beautiful and functional piece of tabletop art. 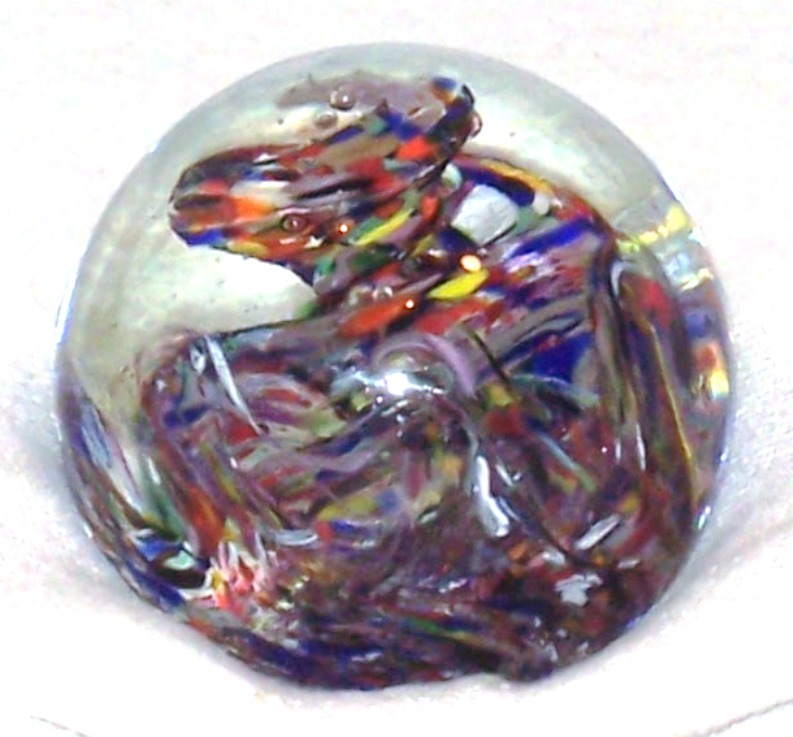 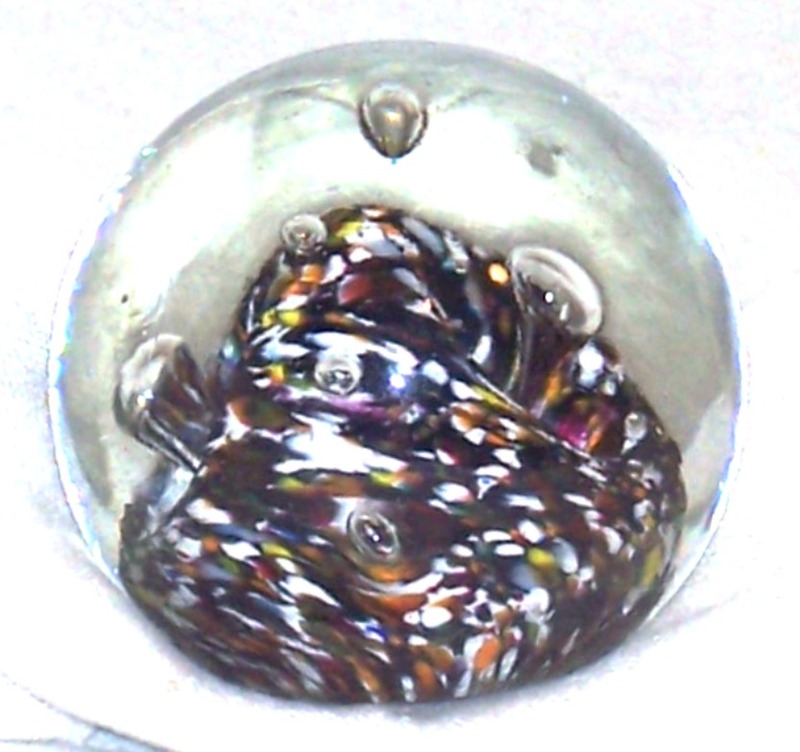 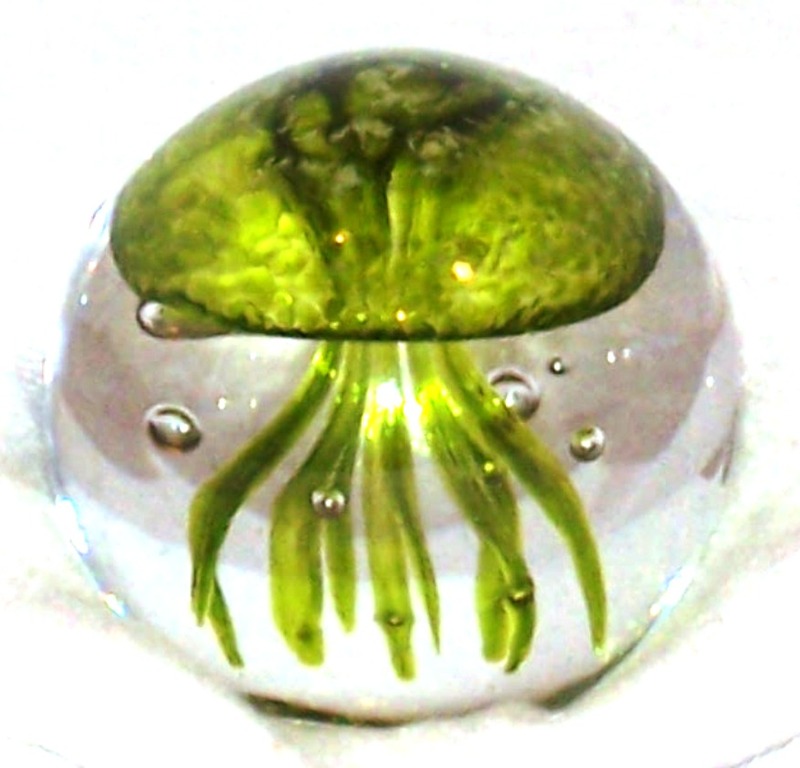 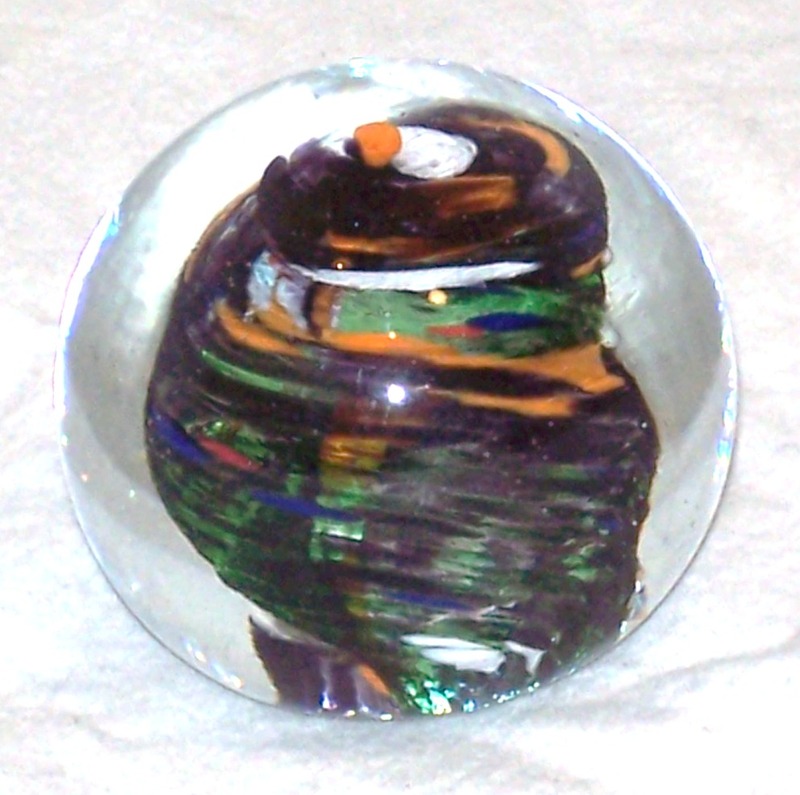 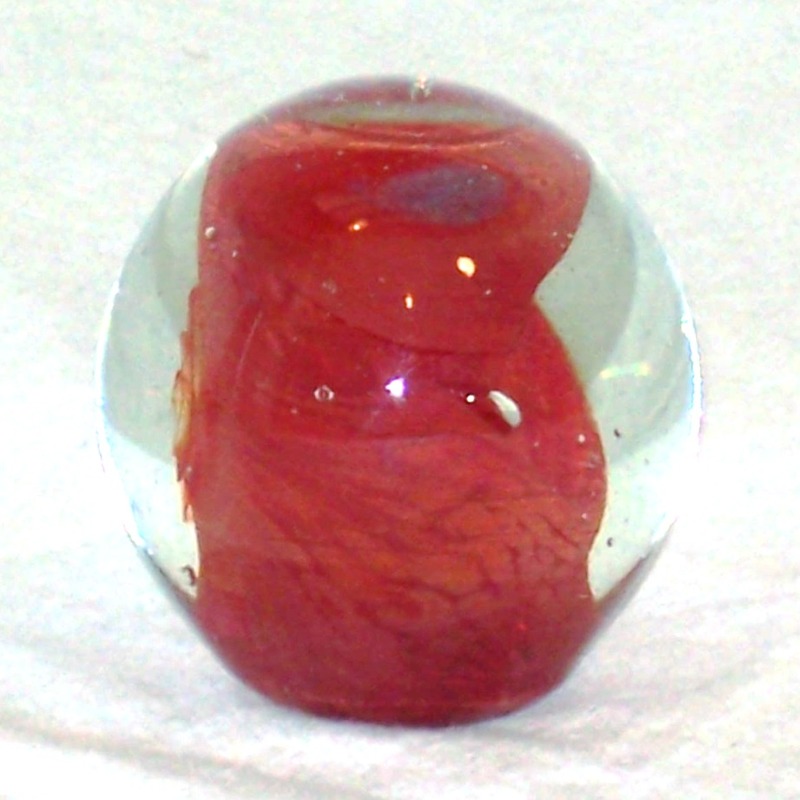 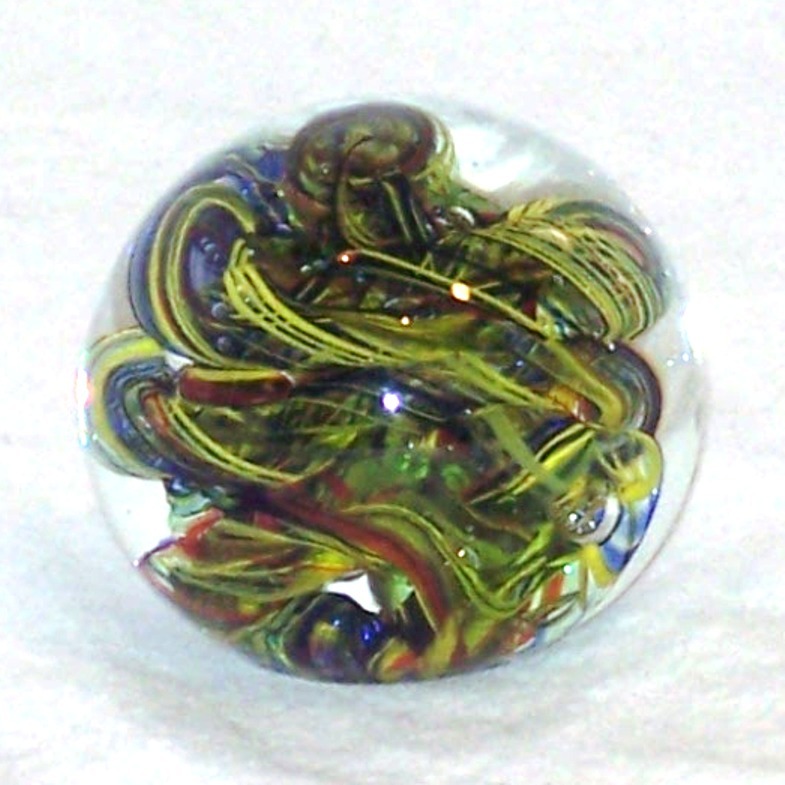 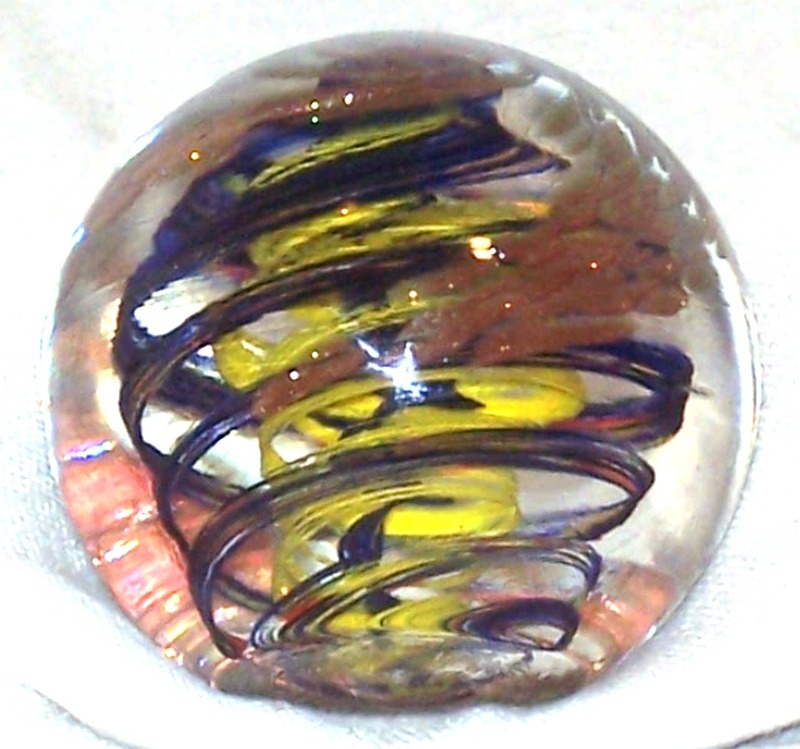 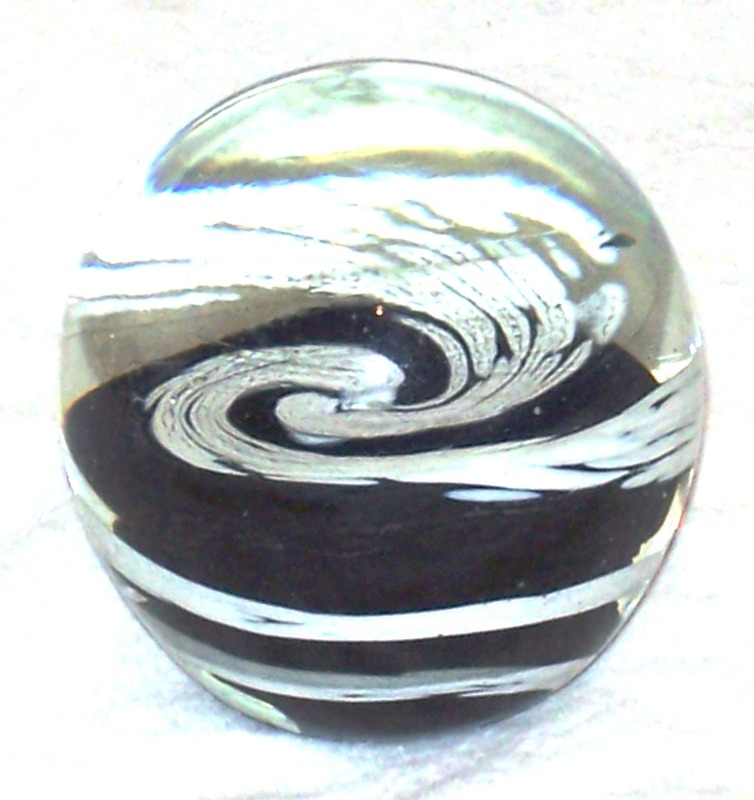 Completely one-of-a-kind, these glass paperweights are currently for sale in the Amigami Etsy Shop.